We are the movers Cincinnati residents can trust when they are planning on making short or long distance moves. It is our goal to make sure that you are a satisfied customer, and we take pride in offering excellent customer service and premium moving services that are designed to make your life easier. You can trust Cincinnati Movers with all of your moving needs. We know that you want a budget-friendly moving option, so we always offer upfront pricing depending on your unique move. Our company will match you with a moving consultant who will listen to your needs and ask questions to see exactly what you require so that we can give you a reliable moving quote. You do not have to worry about hidden fees with us. Our moving quotes will be firm and reliable. We want you to know what to expect when it comes to our prices and our time schedule so that you will be happy with our services. 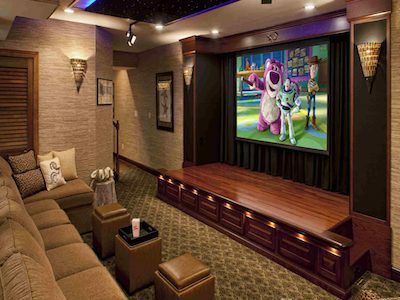 We offer over the phone estimates, but of course, can come to your home or residence if you prefer. Either way, you move will be accurately quoted immediately after contacting us. Our professional team at Cincinnati Movers will take care of the loading process without you having to lift a finger. We have the right tools, equipment, and manpower to make sure that the job is done right. Our team will make sure that everything is packed properly, inventoried, and labeled so that everything will go quickly and smoothly during the unloading and unpacking process. You can relax while we load heavy items like furniture, tables, etc. We use padded blankets and a proprietary plastic containment system to make sure that nothing gets damaged. Our team uses a special system when it comes to loading our trucks so that every bit of space is maximized. We believe in providing safe moving services, and we will make sure that everything is organized and labeled the right way based on our quote inventory worksheet. ​Our trucks are all top-of-the-line fleet vehicles, and our drivers are all licensed and certified. We always make safety a top priority, and we work hard to meet deadlines. When it comes to long distance moves, we use a GPS tracking devices so that you can always know where your items are at any time. You can have peace of mind knowing that Cincinnati Movers is fully insured and licensed. Call the movers Cincinnati uses when they want affordable, professional moving. We work with many third-party professionals that can help take care of services that most movers are not able to provide. We do what it takes to get your new life started whether you are changing homes or relocating offices. Whether you are a senior making a transitional move or a new college student leaving home for the first time, you can count on us to make sure that every move is a success. 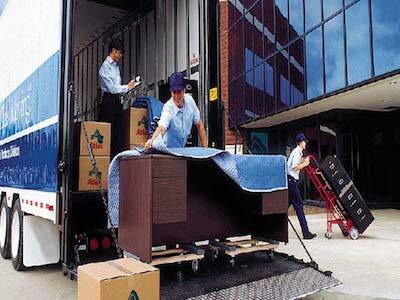 We offer special moving services to make certain that everything goes as planned. Senior Moving - Our senior moving services will help to lighten the load. We will be there to help with every aspect of a senior's move to make sure that it is a smooth and relaxing experience. We will work with the special needs of seniors and family members. Our moving consultant will make notes of special requests and requirements to make sure that all requirements are met. Handicap and Accessible Living Moves - Our company understands that these types of moves can be stressful, but we are here to make life easier for all of our clients. We work with different residence configurations and will be ready to accommodate all requests and needs. Our team will always work professionally. 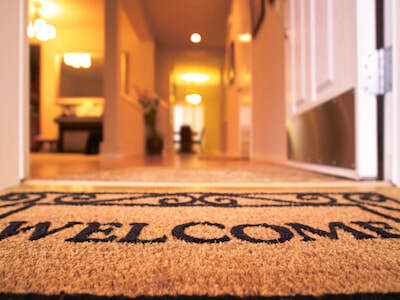 If you have special requests, please tell our moving consultant so that we can meet them sensitively and respectfully. Corporate Relocation - Whether your company is in need of national or international relocation services, we are here to help. We will put our experience and expertise to the test to make sure that everything is done right. We can take care of special requests, and we will adhere to your corporate policy. 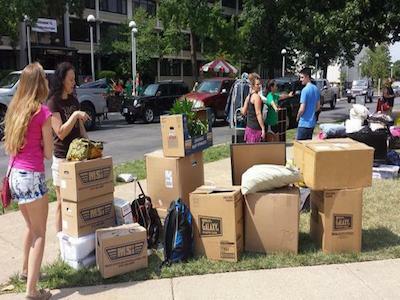 College Moves - If you need assistance with your college move, our team is ready to assist you. We have smaller trucks that can help make a school move easy. Whether you are in need of out-of-state or in-state transportation, we will be glad to assist you. 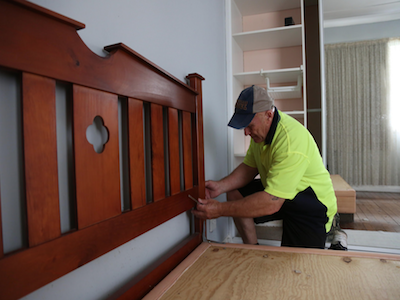 Unpacking - Unpacking can be easy when you leave it to the professionals. Cincinnati Movers will able to unpack your belongings and put their contents in specific locations. You can supervise the process or give us prior directions. Our team will be sure to remove all packing materials so that your residence or office looks as good as new when we are done. Storage - You can choose from regular or climate-controlled storage services with us for up to a year. Your items will be inventoried and placed in our warehouse. You can pick from short or long-term storage, and we can hold Full Container Loads (FCL) or Less than Container Loads (LCL) for commercial and industrial customers. Crate Packaging - We can take care of extra large items that will not fit into normal boxes or items that need extra protection. Our team can provide 2x4 crating and also skid packing. You can expect for this type of packing to be just as safe as your items. They can be bubble wrapped, shrink wrapped, or covered with padded blankets. Vehicle, Personal Watercraft, and Boat Moving - We can take care of moving motorcycles, cars, trucks, boats, and more. Storage Facilities - short- and long-term storage solutions. Piano Moving - We are experienced in moving heavy but delicate pianos, both uprights and grands. We understand the importance of moving an expensive piano correctly and taking all the precautions to prevent damage. Call us for a free piano moving quote and let's us explain our approach to moving your cherished piano. We were moving to Cincinnati from Pittsburgh and needed moving and storage as our house had not closed. 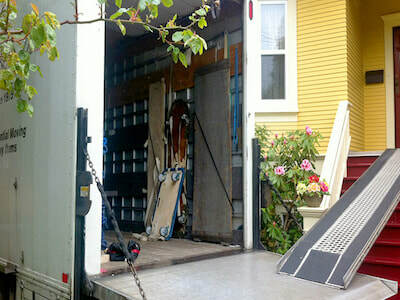 Cincinnati Movers made everything so easy and stress-free in an otherwise difficult situation we were in. Thank you guys. We were referred by the movers at www.scrantonmoving.com -Lynn H.
I was just making a (very local) move within Cincinnati and didn't think I needed a moving company as it would be too expensive. But, Cincinnati Movers put together an affordable yet very effective moving plan together for me. I am glad I called them. 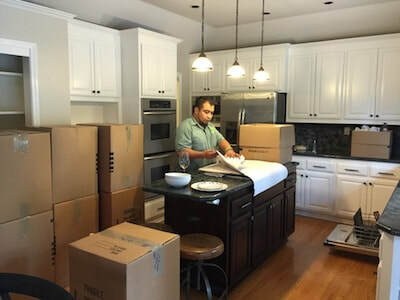 ​-Gary P.
Since 2001, Cincinnati Movers has been the moving company in Cincinnati that locals and new residents use when they want the best service in the industry. We are the best moving company in Cincinnati OH. We are proud to serve all of SW Ohio but even prouder to call Cincinnati home. ​We are a local moving company in Cincinnati headquartered in the heart of the city. We often offer discounts and specials, and always provide veterans with the special discounts they deserve. No job is too large or too small: from in-home moves of a single piece of furniture to 10,000 square foot homes and large businesses. We are the movers Cincinnati OH has depended on for almost two decades.